I heard about a local restaurant that prides itself on its great food and hospitality, which results in large numbers of repeat customers. Many of their customers are daily regulars. One customer in particular came in every day and always ordered the special soup of the day and salad, which included two slices of still-warm homemade bread. He came in literally every weekday and never deviated from his routine order. The manager noted that the customer never seemed to be very friendly or happy… he just showed up, ate his lunch, paid the bill, and left without a word. Haven’t we all known somebody like this? It could be a customer, an employee, a supplier, a friend, or a family member. It could even be — don’t flinch — it could even be you. You’ve probably heard that the word gratitude is the combination of two words: grateful and attitude. Some people just don’t have grateful attitudes. If you asked them, they’d likely say something like, “What do I have to be grateful for? Life’s hard and I’ve had to work for everything I have.” It’s as though the fact that they had to work for it meant they shouldn’t be thankful for it… whatever it is. Others might complain that life’s been unfair to them and their circumstances are all the proof they need. They find it hard or even impossible to be grateful when they’re faced with life’s difficulties. In either case, they aren’t grateful or thankful for anything. Saint Francis observed, “Expectation is the death of serenity.” Unmet expectations are often the cause of ungratefulness. Unfortunately, when you’re in the midst of difficult circumstances, it’s almost impossible to feel grateful even for the good things in your life. Last month I celebrated my 70th birthday. Beginning with my 40th birthday, at every milestone birthday (50th, 60th and 70th), I’ve taken some extra time to reflect on my life. I look back at what happened and how it worked out or didn’t work out according to plan. I’m always impressed by how many of the things that looked grim at the time actually turned out well and even better than I intended. In fact, they frequently turned out better than I could have hoped from my perspective from within the crisis. I like how Dave Ramsey, a financial guru and talk radio personality, answers the caller’s “How are you?” question by saying, “Better than I deserve.” During my times of reflection, I realize that I, too, have led a life that’s better than I deserve. Okay, that’s enough about me; this column is supposed to be about you. Did you know that having a grateful attitude will make you happier and more satisfied with how things are, as well as with how they aren’t? In fact, one key to happiness is being satisfied with what you have and don’t have. According to a recent study by Harvard’s School of Public Health, having a happy, positive outlook leads to better health and will actually help you live longer. But the study states that the absence of negativity isn’t the same thing as the presence of positivity. Optimism and positivity coexist with gratitude. Appreciation is the foundation of positive thinking. •Pause and reflect. Don’t wait for your next milestone birthday. Stop today and look back at your life. Can you remember when life gave you lemons and your mom gave you some sugar, water, and supplies to make a lemonade stand? •Take an inventory of everything you have in your life to be grateful for. I won’t speculate with ideas on this point because what one person has to be grateful for could be the very thing that’s causing despair for another… family or health, for example. But if you’re brutally honest with yourself, you’ll discover that you have many good things in your life. •Consider the possibility that life’s telling you to stop doing what you’re doing the way you’re doing it. Maybe you just need a timeout or maybe it’s time to change direction. Open your mind to new possibilities for improvement or transformation. •Seek help or comfort. Help comes in many forms: friends, relatives, clergy, trusted associates, professional consultants, etc. •Sometimes all you need to do is look around. You might find that someone is already trying to help you. 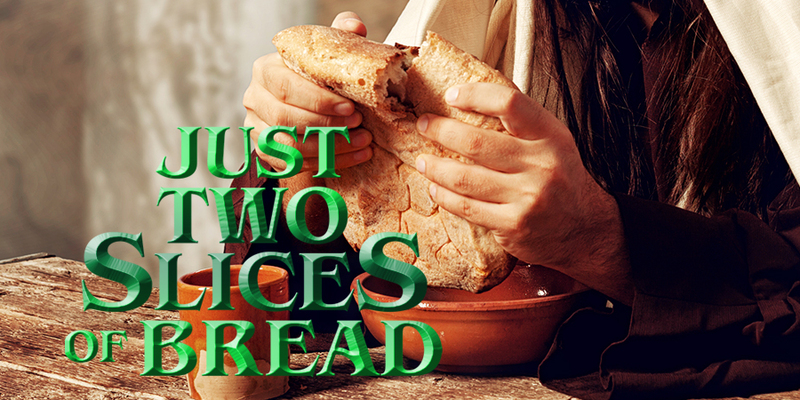 They might be offering you a whole loaf of bread, but all you’re seeing is just two slices. When I was laying flat on my back nearly two years ago, paralyzed from the waste down and wondering if I’d ever walk on my own again, I was on the verge of despair. At that point, I began to reflect on the full and active life I’d already enjoyed. I remembered my kids and family, especially my loving wife, Sue, and the so many other people in my life, both past and present. I thought about how ATRA afforded me the opportunity to see most of North America as I traveled from coast to coast, presenting management seminars. That experience allowed me to meet wonderful people like you and make some great friends through those seminars and at Powertrain Expo every year. But, on the strength of those reflections, I began thinking positivity into the future and started making plans for what I could still do, even if my legs failed me. As I made that shift in my thinking, good things followed. Earlier this week I walked my dog and played golf, pickleball, and tennis. I’m convinced that the combination of a fine surgeon, God’s healing blessing, and my God-given optimism made this possible. I have a renewed appreciation for those things that I’d taken for granted. If I didn’t share the Bible verse that helped get me get through it, I’d feel like I was being ungrateful to God. These are encouraging words regardless of your religious beliefs: all things work together for good. If you’re interested in the rest of the verse, it’s Romans 8:28. Finally, I’m grateful to you for reading this Up Your Business column. I also appreciate your feedback through phone calls and emails. You’re each a blessing to me, even if you didn’t know it; now you do. Excuse me for now… I have some bread to enjoy. Thom Tschetter has served our industry for nearly four decades as a management and sales educator. He owned a chain of award-winning transmission centers in Washington State for over 25 years. He calls on over 30 years of experience as a speaker, writer, business consultant, and certified arbitrator for topics for this feature column.